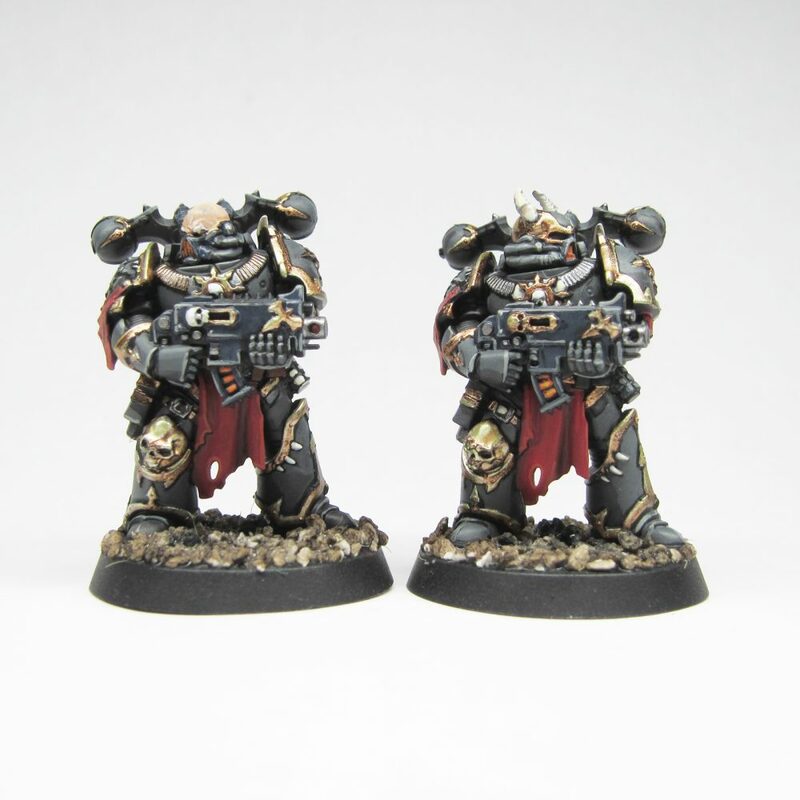 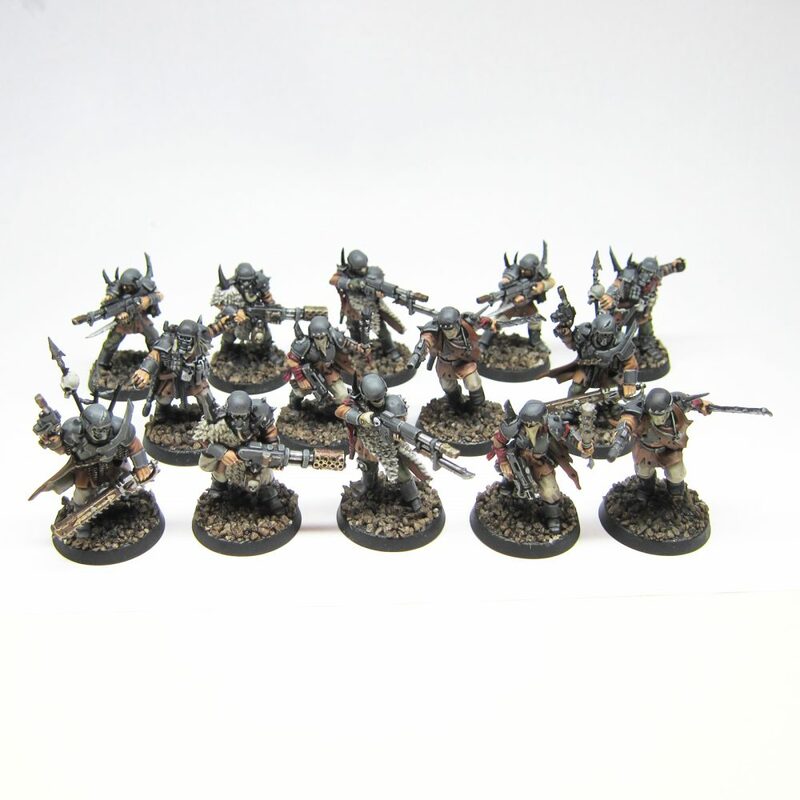 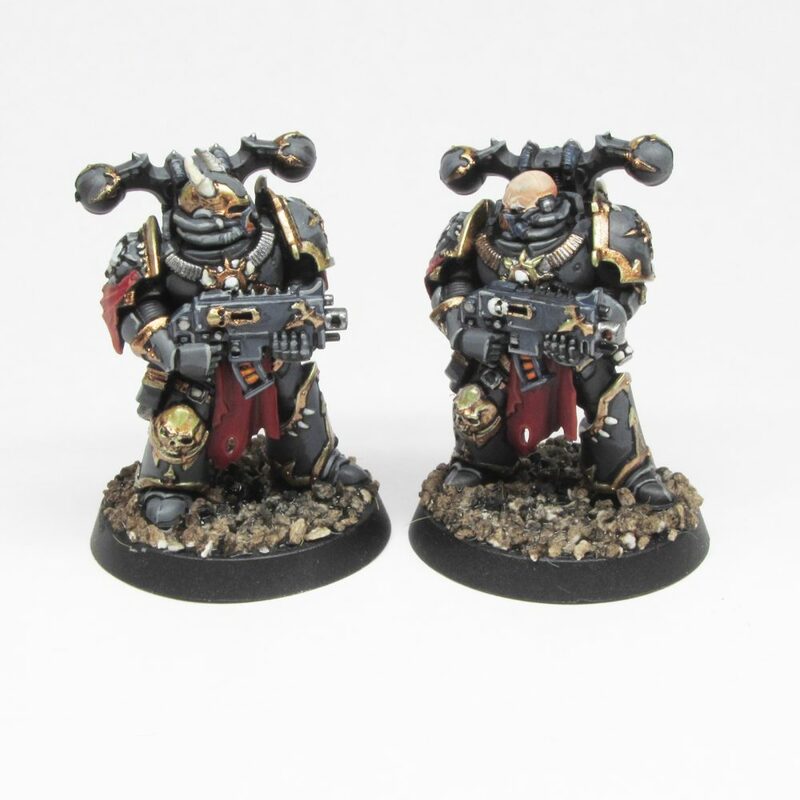 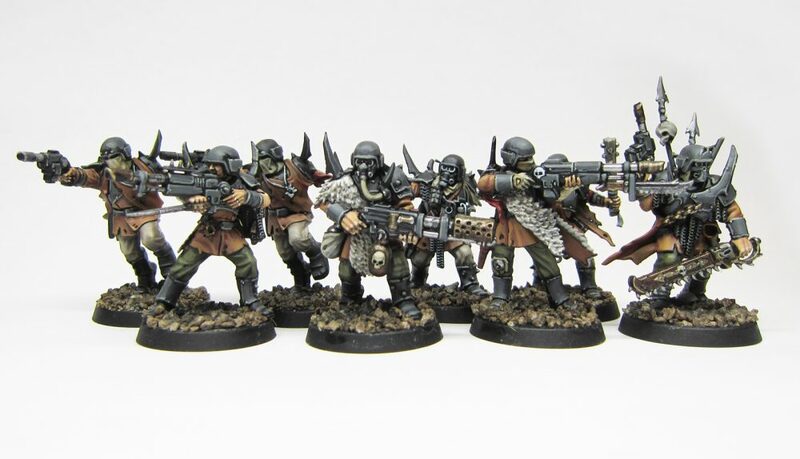 1st squad of Traitor Guardsmen. 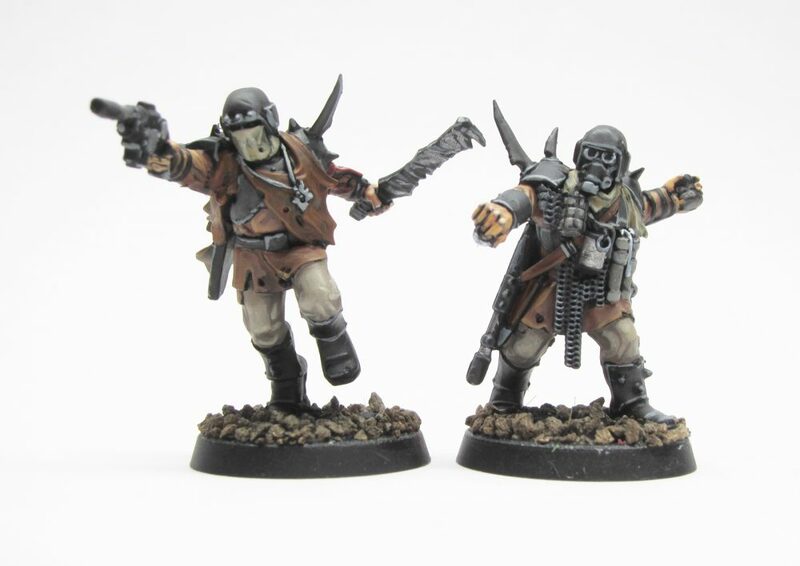 Explorers – Rein & Raus Gaffer, Albhuman species known as Ratlings and Sentient Imperial Robot UR-025. 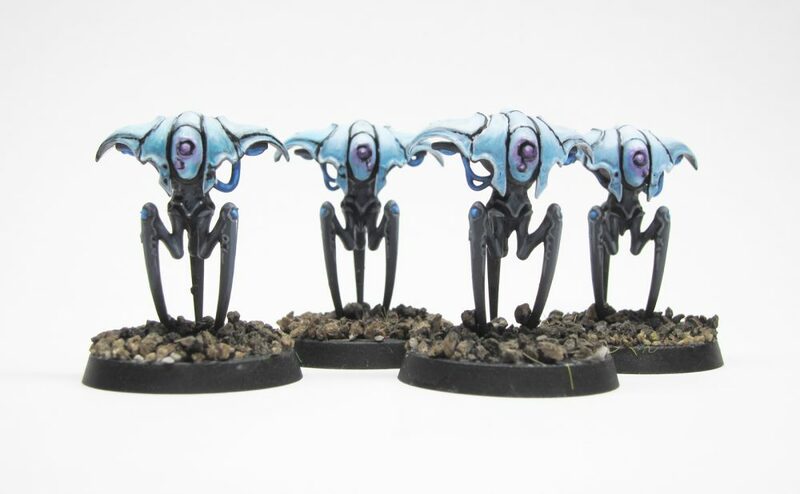 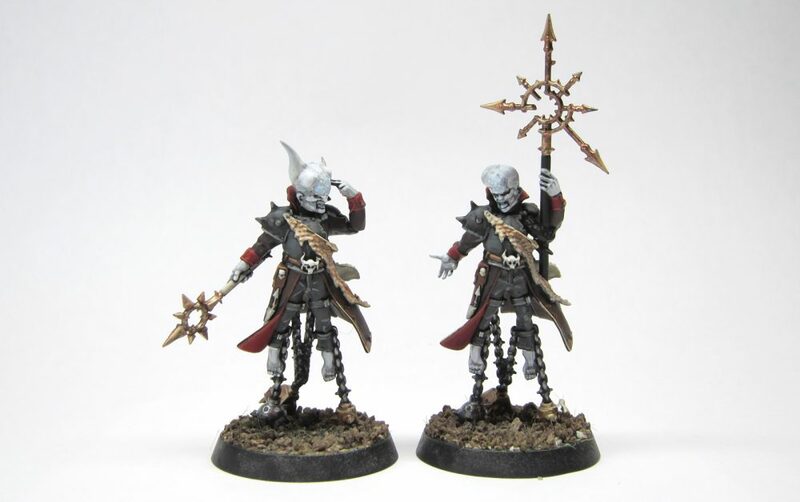 Explorers – Pious Vorne, Missionary Zealot. 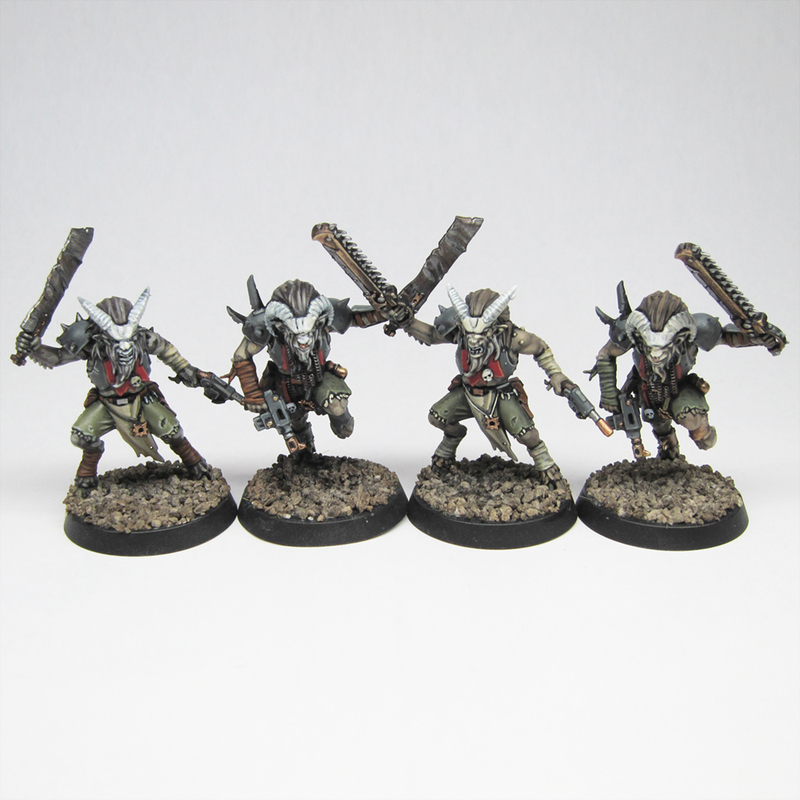 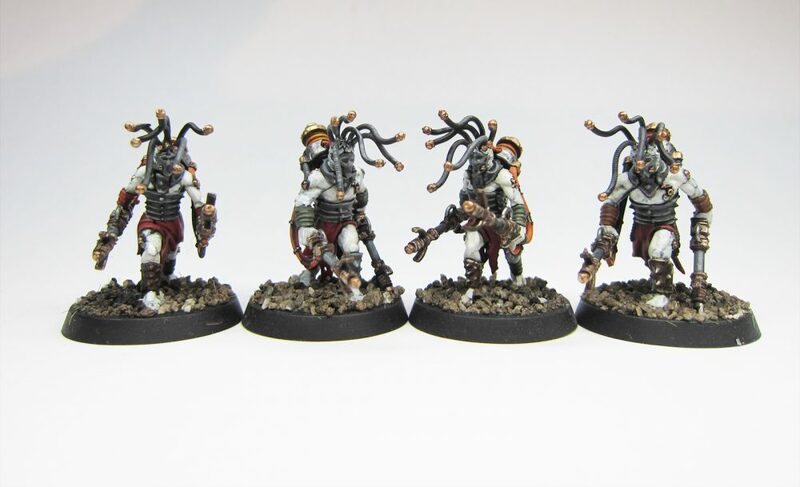 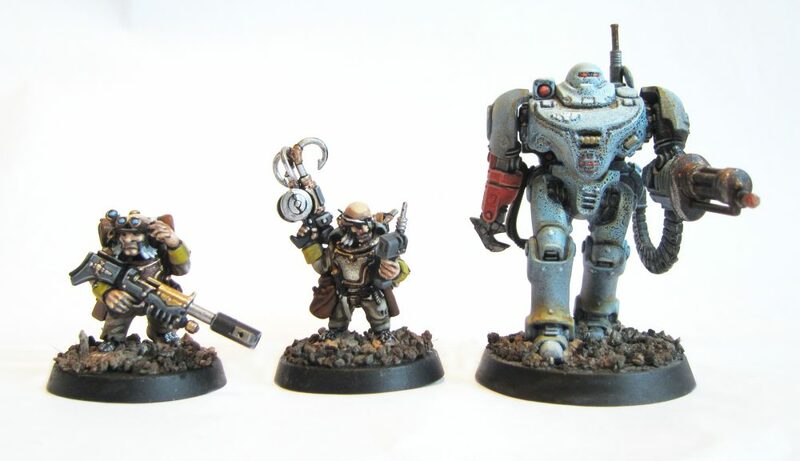 Taddeus the Priest, Ministorum Priest and Dahyek Grekh, Kroot Tracker. 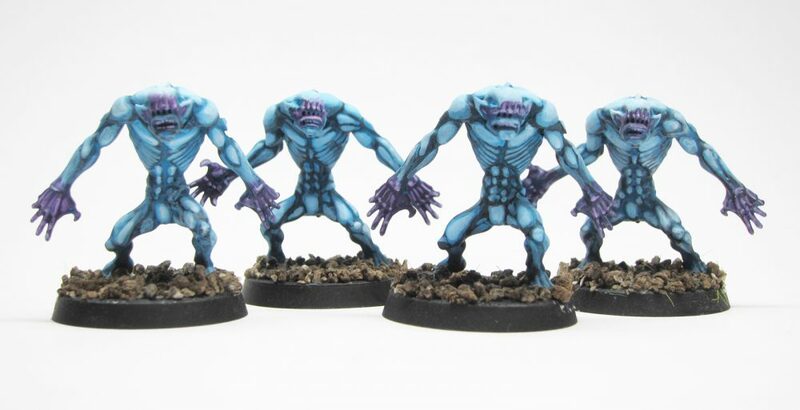 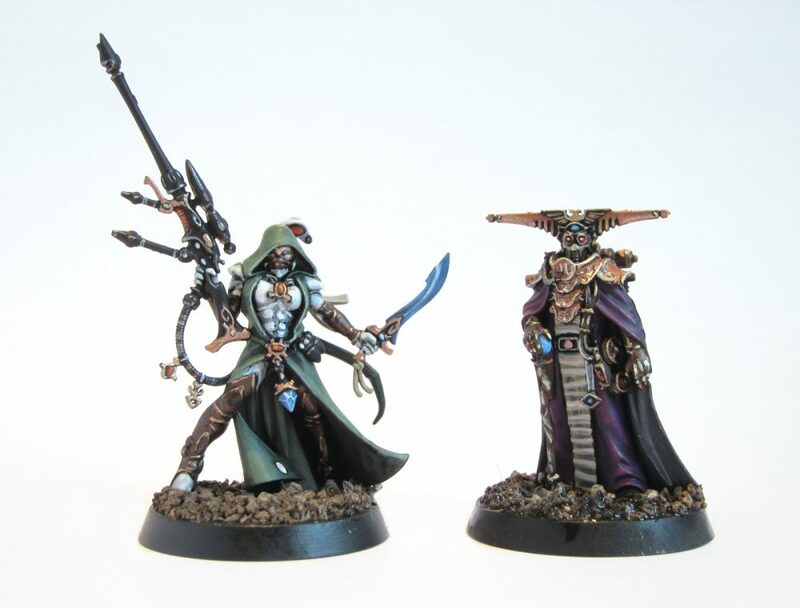 Explorers – Amallyn Shadowguide, Asuryan Ranger and Espern Locarno, Imperial Navigator. 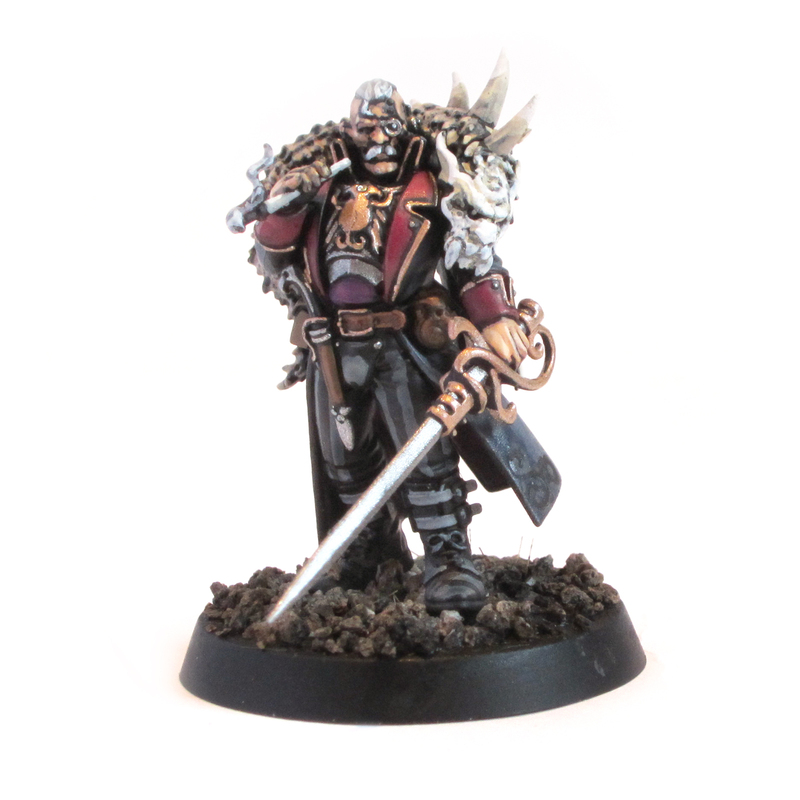 Explorer – Janus Draik, Rogue Trader.